UFC president Dana White has never understood the backlash about introducing interim titles in the mix in any given division. The argument against interim titles typically revolves around the UFC seemingly putting a championship up for grabs whenever a card is in need of a headliner with limited options available. While there are no rules surrounding interim titles, the understanding in the past is that they are introduced when a champion is unable to compete or defend his or her belt. Andrei Arlovski famously won the interim heavyweight title after Frank Mir suffered a broken leg in a motorcycle accident. Renan Barao was crowned interim heavyweight champion when Dominick Cruz was sidelined due to multiple knee surgeries. Lately the reasons for introducing interim titles seem to happen with a little less rhyme or reason but White says the main and co-main events this past Saturday night are prime examples why those championships matter so much. In the main event, Dustin Poirier won his first UFC title with a five-round decision against Max Holloway while Israel Adesanya captured the interim middleweight champion following a back and forth war with Kelvin Gastelum. Both the main event and co-main event were awarded ‘Fight of the Night’ bonuses by the UFC. “I’m going to tell you cause I’m going to take another swing at the idiots that don’t like interim belts, there’s probably some of you in this room, too,” White said at the UFC 236 post fight press conference. “But here’s the reality — when more is on the line — could you imagine if Israel Adesanya versus Kelvin Gastelum was a three round co-main event? Even the Poirier fight, the main event if it wasn’t a five round fight. These titles mean something to them. White argues that a big part of what made those fights special on Saturday night is because Poirier, Adesanya, Holloway and Gastelum were all competing for a UFC championship. 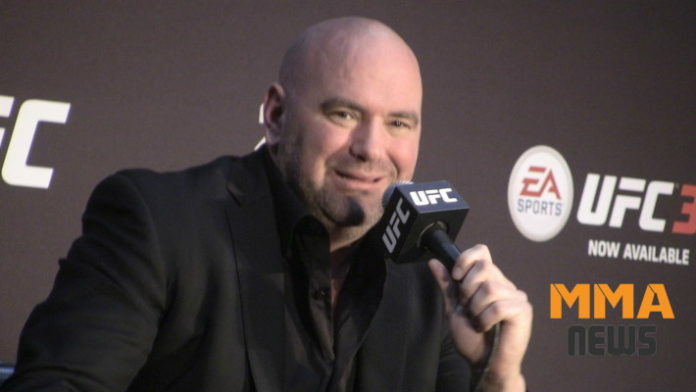 On top of that, White adds that the two new interim champions will also enjoy the other bonuses that come along with holding gold in the UFC including a cut of pay-per-view profits when they compete again.